It’s prime time for discussing the risks of drunk driving collisions as we enter the second half of summer and head toward the start of football and the upcoming holiday season. The New York State Department of Health reported more than 1,000 New Yorkers are killed each year in traffic collisions. More than 136,000 injury victims are treated in hospital emergency rooms following crashes, and 13,000 suffer injuries requiring hospitalization. Nationwide, drunk drivers are blamed for at least one-third of all fatal traffic collisions, claiming more than 10,000 lives a year. While Christmas and New Year’s grab most of the attention when it comes to drunk driving, an experienced Buffalo car accident lawyer knows the summer months are typically the most dangerous time of the year for drunk drivers. Memorial Day, the Fourth of July, and Labor Day bring increased risks for motorists, but travel, boating, barbecues and sporting events make the entire summer a dangerous time when it comes to drunk driving. Leave plenty of following distance. Be highly aware during holiday travel. Support and cooperate with sobriety checkpoints. Motor vehicle crashes are the leading cause of injury-related death in Erie County, and a disproportionately high number of collisions are caused by drivers who have had too much to drink. In fact, Erie County reports more than 300 drunk driving collisions a year, more than anywhere else in upstate New York. A recent article by Buffalo News interviewed a Cheektowaga police officer who has made more than 300 drunk driving arrests. The officer estimated at least 25 percent of all traffic accidents he investigates involve a driver impaired by either drugs or alcohol. 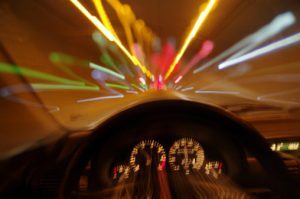 Tell-tale signs of a drunk driver read like a laundry list of poor driving behaviors: speeding, driving too slowly, driving aggressively or recklessly, weaving in and out of lanes, driving the wrong way and driving without headlights are all common signs of a drunk behind the wheel. Drunk driving collisions are among the most complex personal injury and wrongful death cases a New York law firm can handle. While proof an at-fault driver was drunk at the wheel is often proof of negligence, your law firm must still work to identify all available insurance coverage. Determining the full extent of your compensable injuries is also critical to making a full financial recovery. Multiple victims, serious injuries, and limited insurance coverage can also make timely filing of your claims vital to making a recovery. This may include pursuing your own insurer for uninsured or underinsured motorist coverage. New York auto insurance law mandates uninsured motorist coverage, which will protect you in a collision with a hit-and-run driver or a driver who lacks auto insurance. Underinsured motorist coverage can be just as important but is optional under New York law. It will protect you in the event an at-fault driver does not have enough insurance to pay the full extent of damages. If you have been injured in an accident with a drunk driver, contact the Law Offices of James Morris for a free consultation. This entry was posted on Tuesday, July 17th, 2018 at 9:03 pm and is filed under Auto Accidents. You can follow any responses to this entry through the RSS 2.0 feed. Responses are currently closed, but you can trackback from your own site.